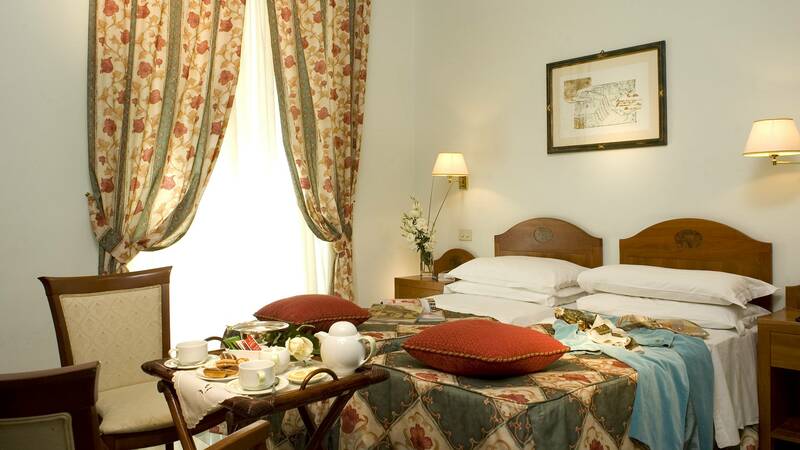 The elegant Hotel Aberdeen is the perfect base visit to the Eternal City on foot or by public transportation. The Hotel Aberdeen is located in a classic noble Roman palace near the Quirinale in a quiet area of the historic center and is near both the Termini train station and the Trevi Fountain. The Aberdeen is located close to all types of public transportation: subway, train, and bus. This makes it the perfect base for your vacation or business trip. Inside the hotel you will find a free internet corner for all guests. The hotel was fully renovated in 2004. 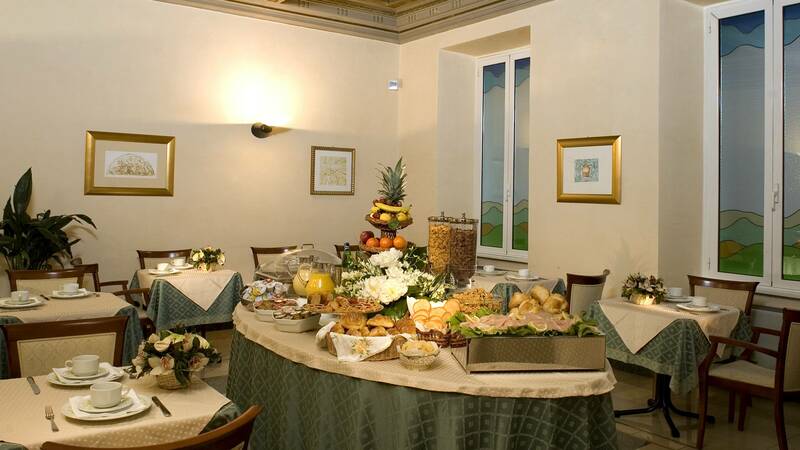 Carrara marble decorates the interior and the breakfast room contains authentic frescos from the 1800's. 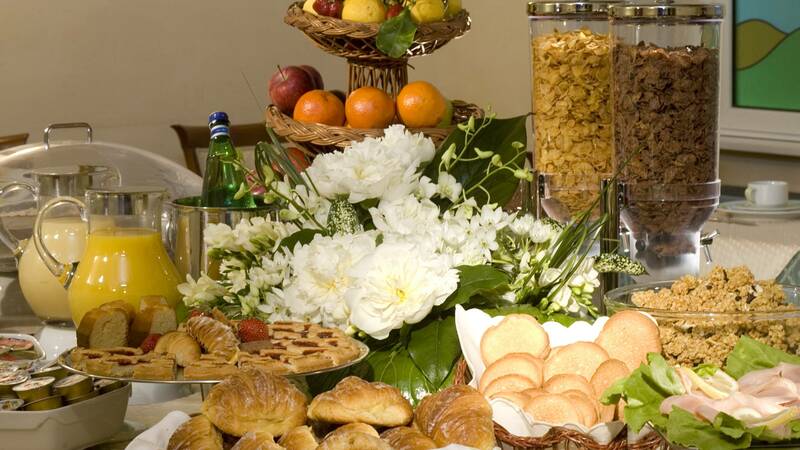 Our guests begin the day with breakfast buffet that offers only the freshest selection of a wide range of food. 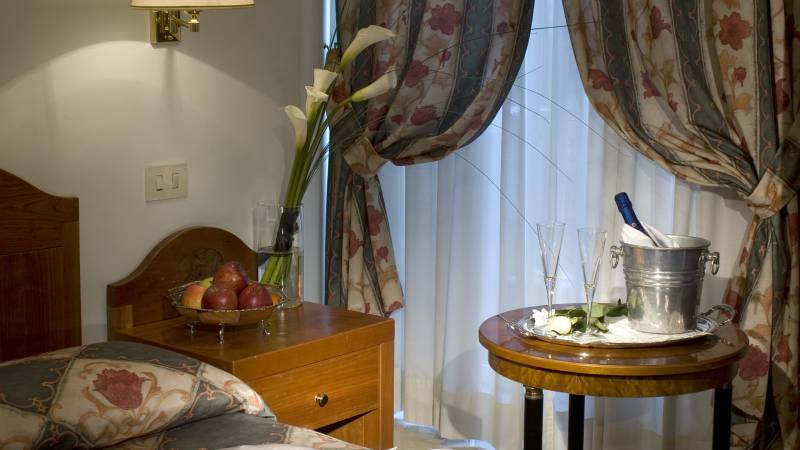 The multilingual staff is always ready to make your stay in Rome as comfortable as possible. 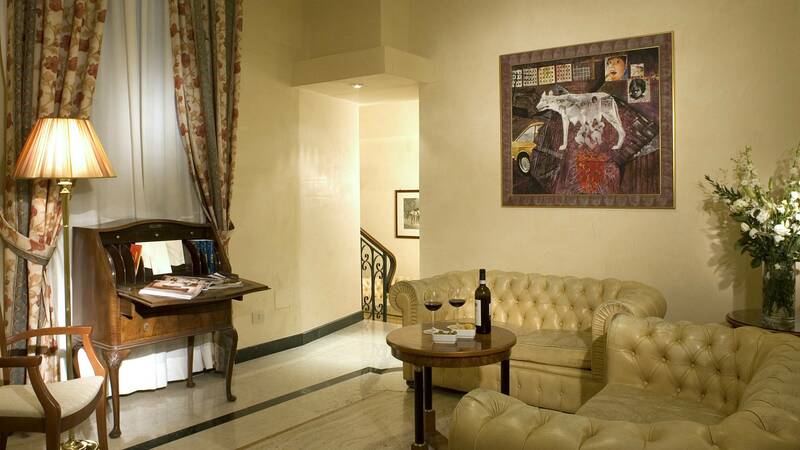 The hotel Aberdeen was founded in 1980 in a beautiful liberty style palace built in the 1800's. The entrance and facade are original and inside you will find perfectly conserved frescsos from the 1860's. 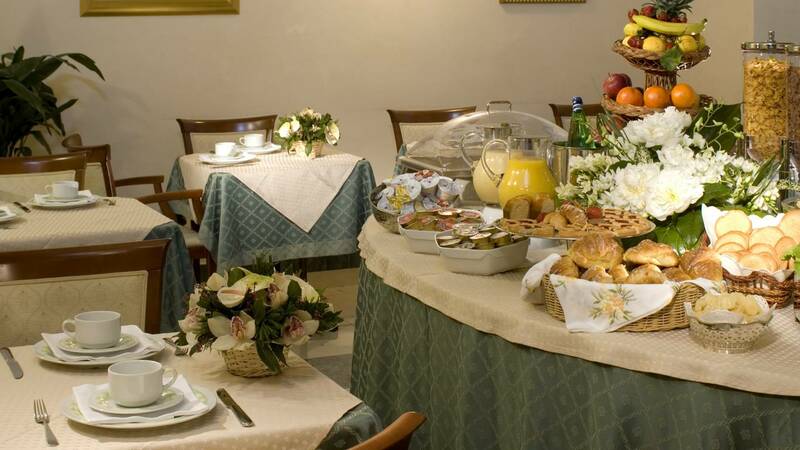 The quiet residencial neighborhood is in the the historic center and therfore offers a wide range of restaruants, theaters and stores, along with some of the most important historic monuments in Rome. 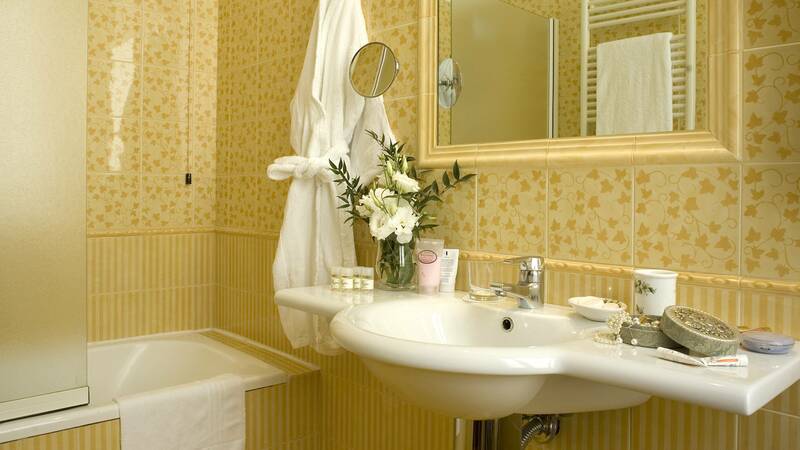 While the classic noble facade takes you back in time, the rooms were restored in 2004 and are decorated in a classic contermporary style, creating a clean, welcoming and comfortable atmosphere. The furniture was designed by the architect Campagna and made esclusively for the Aberdeen in a local carpentry shop in pure Made in Italy style. 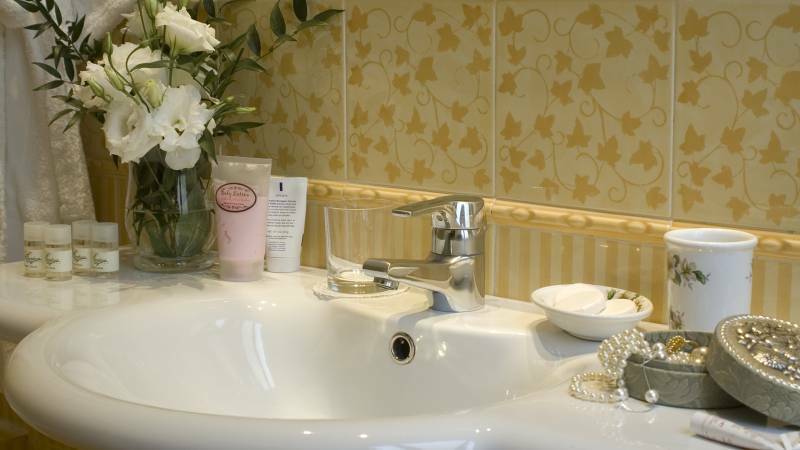 All 37 rooms have a private bathroom with shower or bath, a phone with a direct line, towels, a mini bar, a safe, orthepedic mattresses, satelite TV, eco-airconditioning, maps and information on local events. 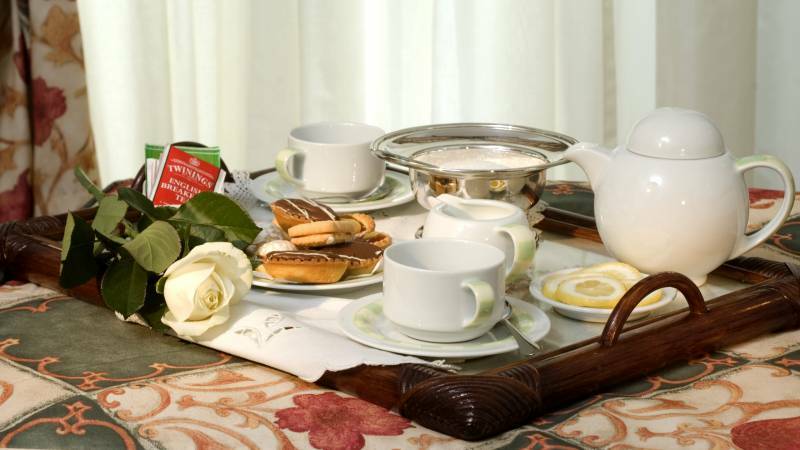 On request we provide wake up calls, laundry service, an iron and ironing table. There is also a free internet corner for all guests. The multilingual staff offers personal attention to all guests including restaurant, museum and flight reservations. In addition the staff can also arrange airport transfers and private transportation. 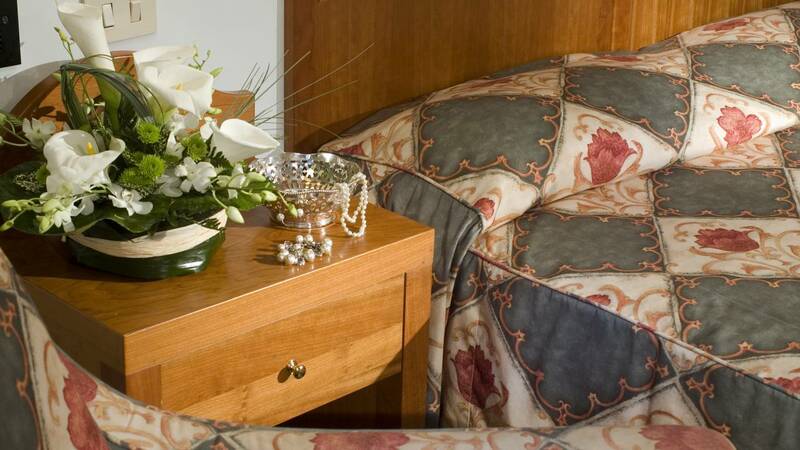 The hotel Aberdeen offers a fast, safe on line reservation system that allows you to see all special and last minute offers. 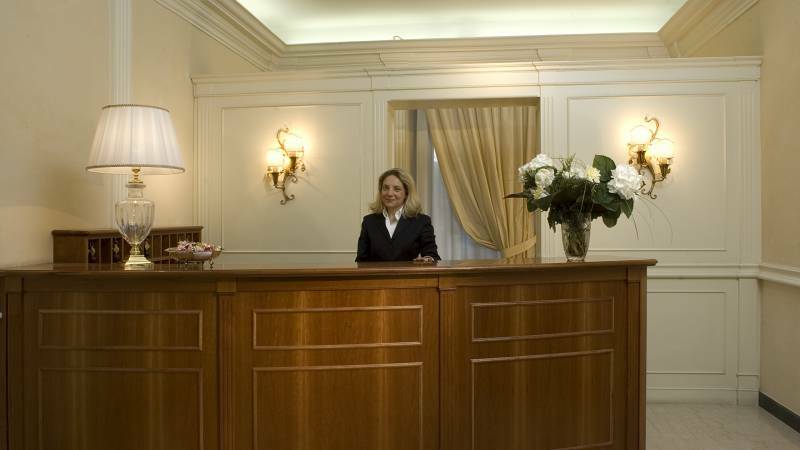 You can also request services from our front desk prior to your arrival. The central location of the Hotel Aberdeen makes the city easy to visit on foot. The Hotel Aberdeen is surrounded by restaurants, theaters, multi lingual cinemas and historic monuments.